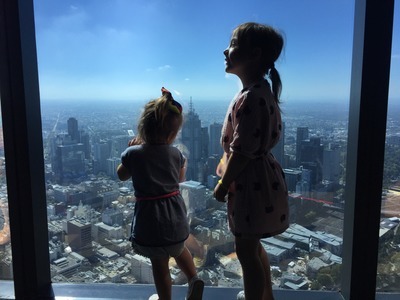 Inspired by Julia's Mums Gotta Travel blog post, compiling a list of the 50 top places around the world, I thought it would be fun to compile a big long list of favourite things to do with kids in Melbourne.. as voted Melbourne's resident Instagrammers. I consider this a work in progress, because I'd imagine more will be added in the weeks to come. In the meantime, please do browse through the following for inspiration if you either live in Melbourne or plan to visit anytime soon. This is a list of tried and tested things to do in Melbourne, voted by people who know the city best. 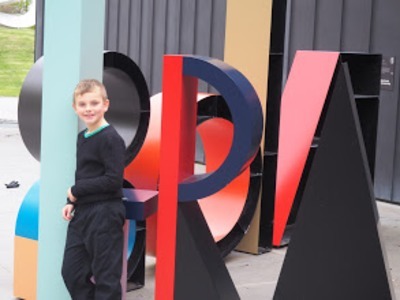 A big thanks to all who have taken part so far and for anyone else who feels compelled to join in, please contact me with your favourite thing to do in Melbourne with kids and don't forget to tell me your Instagram handle. Melbourne Museum - We love all that Melbourne Museum has to offer. 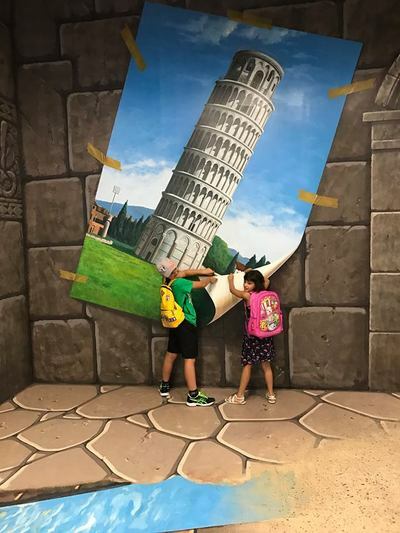 It is a great place to explore, learn and have fun with kids. 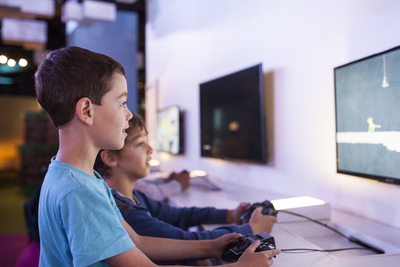 State Library CBD - Not often thought of as a destination for kids, it actually is a really good place to visit. There is a gallery to browse, a tour up to the dome and a book shop for shopping in. Situated in the heart of the CBD it’s a great pit stop if you are cruising around the city. ArtVo, this is one great interactive art exhibition where you are the star! Rock climbing - I know not specifically a melbourne thing, but with a great centre in the heart of CBD it’s a pretty magical place to hang out. 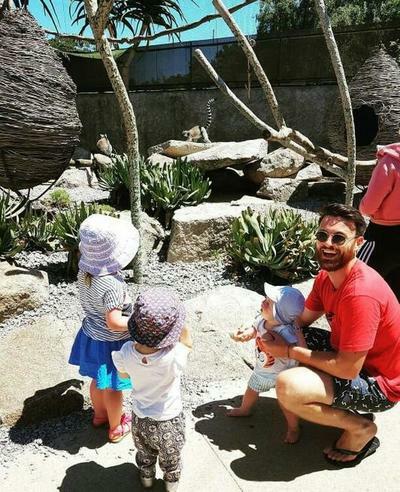 Our girls love going to Melbourne Zoo. I try and take them both a couple of times a year. Children enter for free on weekends and school holidays, making it a cheap day out for families. For Jack's 1st birthday we got given a family Zoo membership. This allows unlimited access to Melbourne Zoo, Healesville Sanctuary and Werribee Open Range Zoo for 12 months. 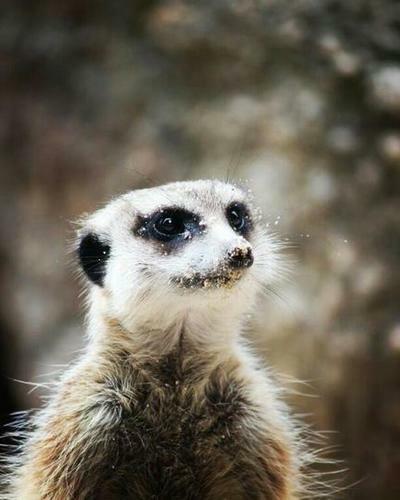 It is great because it allows you to go there and just see a few animals between Jack's morning and afternoon sleeps. Also the fact that you don't have to spend a full exhausting day trying to see everything! Also it is so awesome seeing 3.5 year old niece (who also has a membership) guide us around the Zoo without a map. 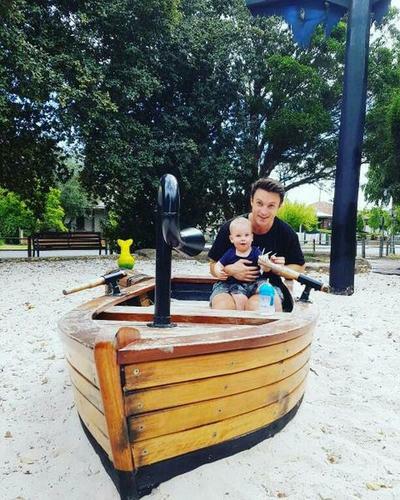 Every Saturday and Sunday morning Gen, Jack and I walk and grab a coffee from our favourite local cafe and head to a local pirate themed park. 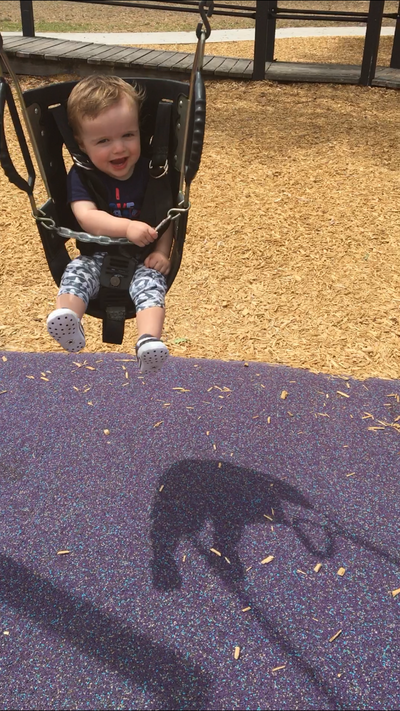 It is great for Jack as all the equipment is low to the ground for him to climb over. It is located at the back on Montgomery Park in Essendon (Hilda street). The McClelland Gallery & Sculpture Park. Affordable opportunity to connect with beautiful nature & art all in one place. It’s always a winner with my little man. He loves the tractor ride and there’s usually new baby animals to pat. It’s easy to walk around and not too big. It has a great little cafe too and plenty of tables if you want to take your own food. 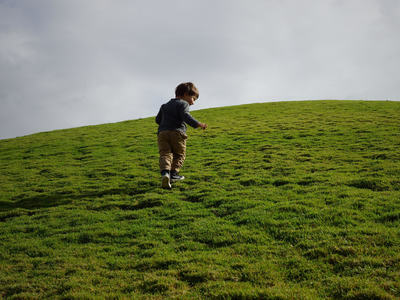 Rolling down the green mountain hills at the amazing Royal Children’s Hospital Park. Visiting Beatrix in North Melbourne for cake. Warning don’t follow them on Instagram or you will be there everyday!! 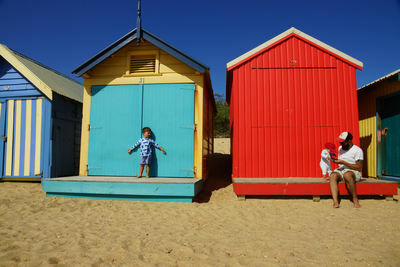 Brighton Bathing Boxes, makes Melbourne’s not so great beaches, great! 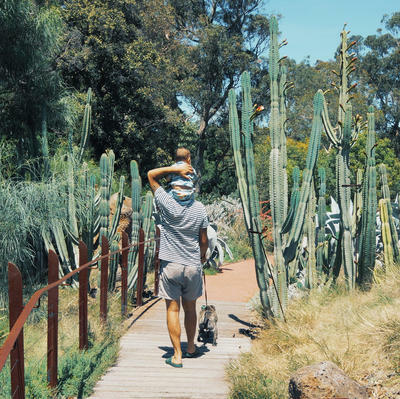 Picnics and walks through our amazing botanical gardens. And finally introducing and immersing ourselves in the art galleries. 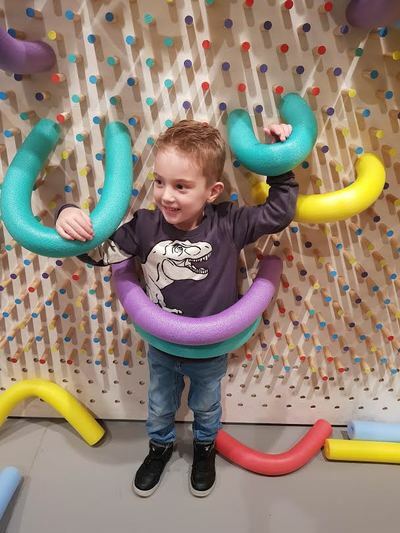 The NGV always has something on for the children to be included in a great day out for everyone. 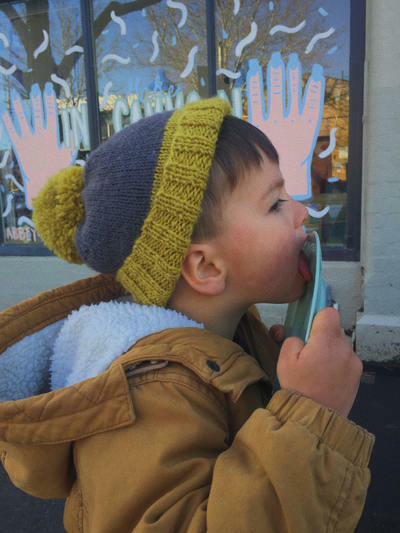 Local parks, libraries and playgroups by Helena @the.whole.mumma. We love our local playgroup, story time at the local library and our amazing local parks; Ballam and Bicentennial Park in Chelsea. Bicentennial Park is gated which is perfect now Cooper is on the run! Keeping it local to the Peninsula means I meet other mums in the area with children of similar ages. 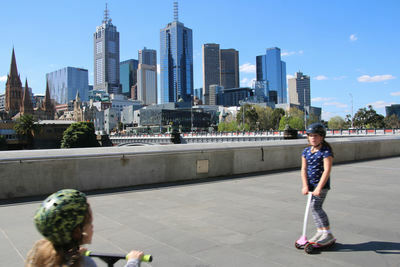 Scooting along Southbank making sure we stop for gelato! 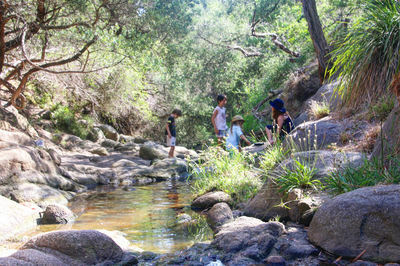 Sweetwater Creek in Frankston is a chance to escape the city and explore nature. Grab some containers and leaves and have a little boat race on the water! Climb in the trees and listen to the birds. 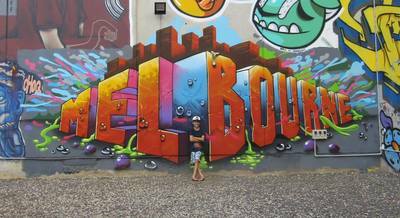 We love exploring the Melbourne laneways and finding hidden street art. 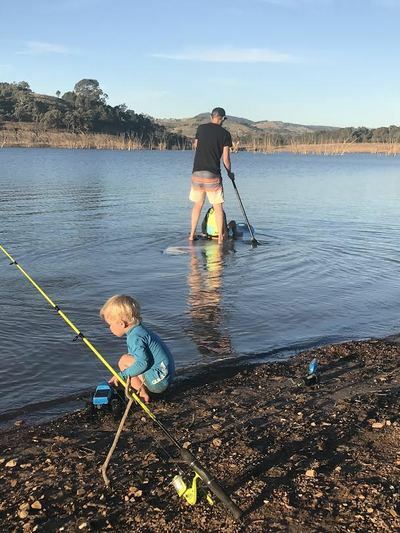 We love camping is on Lake Eildon (about 30 minutes out of Mansfield). It's so quiet, peaceful and relaxing! The kids can explore, run wild and splash in the water. We also love roasting marshmallows. 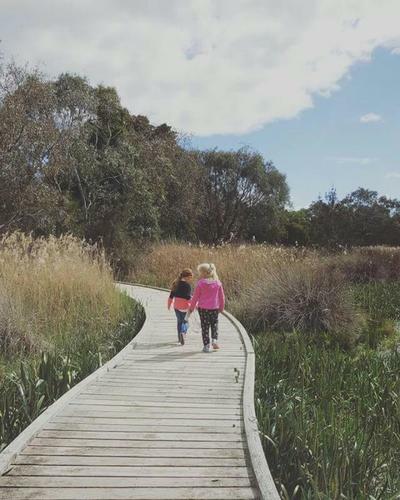 With lots of areas to pop down your picnic rug, McClelland Gallery in Langwarrin is a great place to take the kids for some fresh air and a leg stretch! 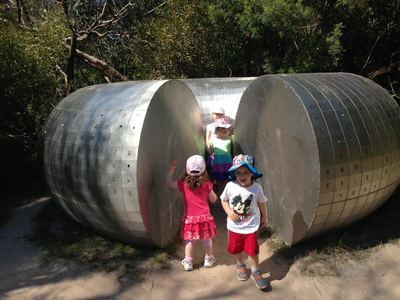 The sculptures displayed around the park really capture the kids imaginations with their abstract angles and colours. Some of the pieces are also interactive, we love the shed with the "night sky" on the roof. 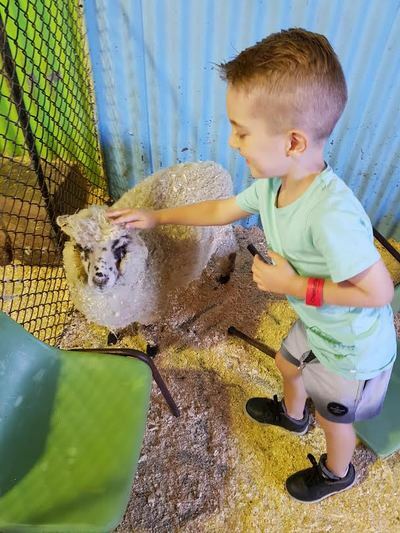 The NGV and Chesterfield Farm by Rachelle @themummycode. The NGV. There is always something on for the whole family and the best part is it's free. Nothing better than a morning a the gallery and lunch by the Yarra. Chesterfield Farm. Lots of fun for the kids. 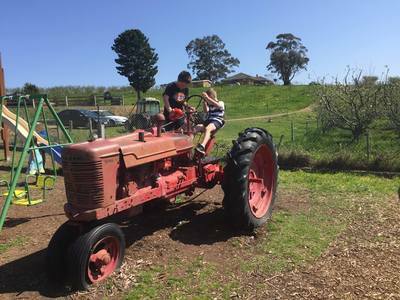 You can feed the animals, have a picnic, milk a cow and have a tractor ride. 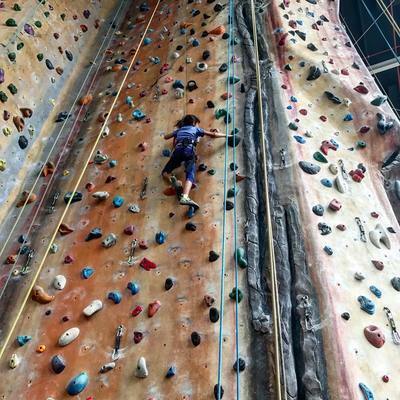 Spending family time with the kids on the weekends is priceless so we are always looking for fun things to do together. 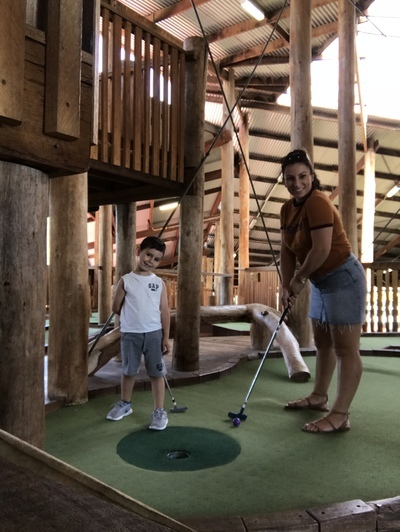 The 2 courses (outdoor and under cover) at Dingley Village Adventure Golf mean that even on sunny or rainy days we can still go and have a play. 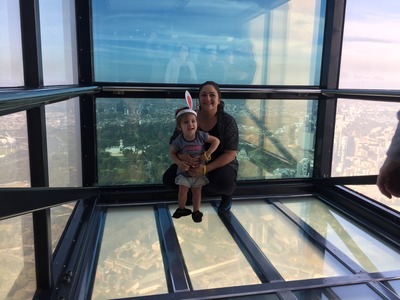 My kids loved taking the fastest lift in the Southern Hemisphere to level 88! 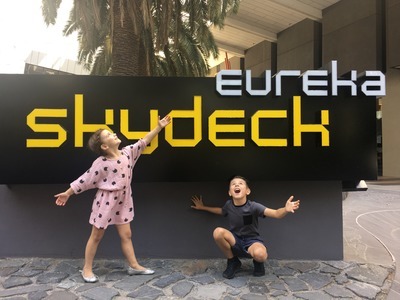 Of the Eureka Tower, kids and families can walk around freely identifying the sounds of Melbourne with a unique Sights and Sounds experience, using landmark viewfinders and informative LED floor and wall displays. Stepping outside the air lock onto the Terrace, is the world famous Edge Experience as it projects itself from the side of the Tower almost 300 meters above the ground. 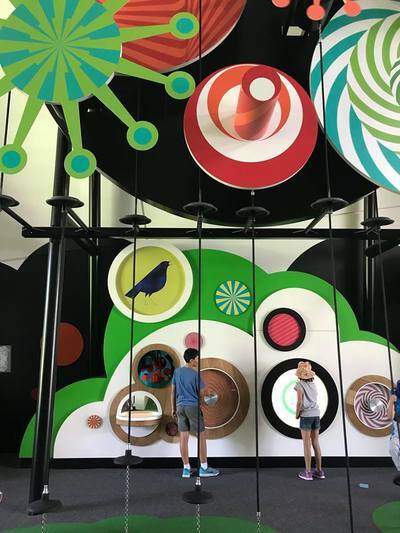 We love just taking our time enjoying a birds eye view looking for iconic landmarks like the MCG, Arts centre, Federation Square and out as far as the Dandenong Ranges, finding fascinating facts along the way. 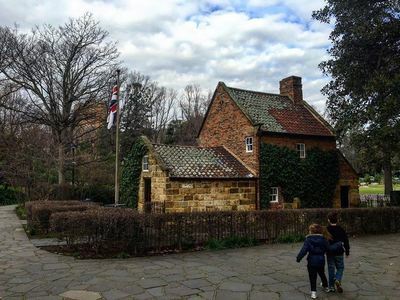 A great spot for a picnic during Summer or Autumn is Fitzroy Gardens and one of its major attractions; Captain Cook's Cottage. Built in 1755 by the parents of Captain James Cook in Yorkshire England. It was dismantled and then brought to Melbourne and reassembled brick by brick in 1934. Families can dress up and take part in old games and activities. Ola Cohn's Fairies Tree can be found not to far from the cottage. 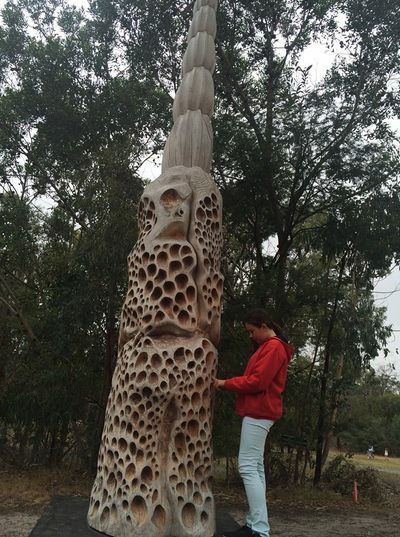 A beautiful work of carvings made on one of the original Red Gum trees found in the the Gardens, well over 300 years in age. 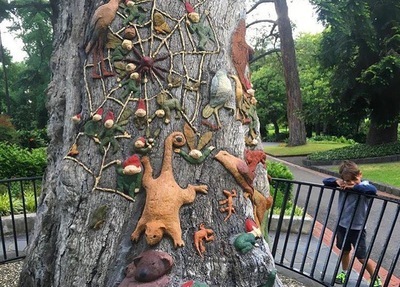 "I have carved a Tree in Fitzroy Gardens for you and the fairies but mostly for the fairies and those who believe in them for they will understand how necessary it is to have a fairy sanctuary - a place that is sacred and safe as a home should be to all living creatures" - Ola Cohn. Melbourne 23/05/1932. 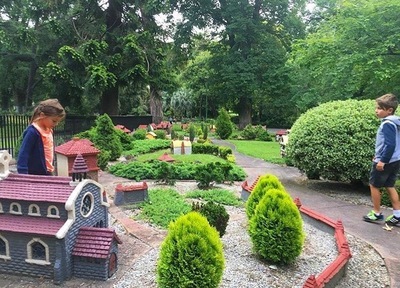 Another favourite the tiny Model Tudor village again only walking distance from Captain Cooks Cottage. A smurf like village of little roads and house. The Enchanted Maze is our favourite place in Melbourne. 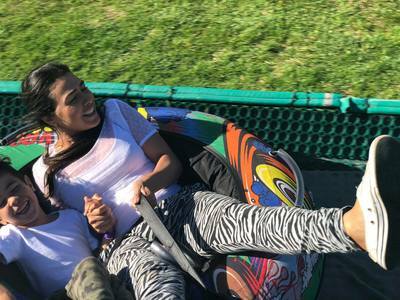 My two love the tube slides! Scienceworks is a favourite too. 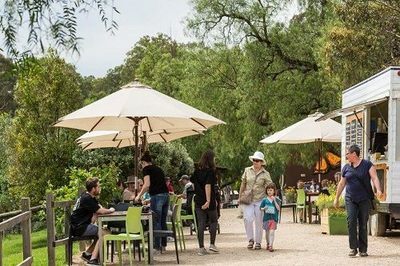 Petty's Orchard in Templestowe for a relaxing cup of tea, organic food shopping, cool apple peeling for the kids and a lovely play among the apple orchards. Montsalvat in Eltham, especially when their monthly Puesta del Sol is on in summer, lovely live music, food and drinks on the lawn of this historic artist colony where the kids can run and play freely and even spot a peacock or two. Heide Museum of Modern Art in Bulleen - Café Vue is always a pleasure for a coffee or a bite to eat. Kids love running around in the sculpture garden. Take a blanket and picnic basket and one can spend a few hours just playing, reading and relaxing in the peaceful surrounds. We love looking for unique finds and books in the gift shop - their kids section always have very interesting offerings! 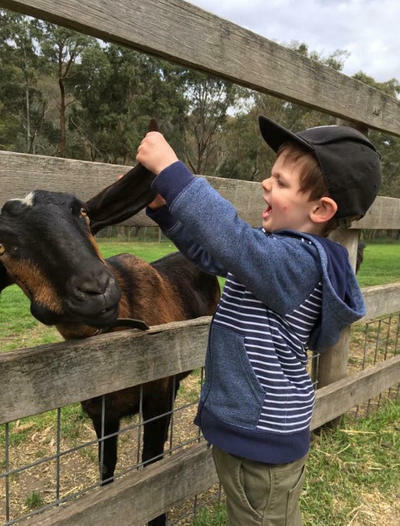 Edendale Farm in Eltham - is a community farm where kids can play, have a look at farm animals, do a paw treasure hunt, enjoy a milkshake or bite to eat at Café Eden. There is a native nursery, worm farm, enviro friendly party options and they have great activities during the school holidays. Entry is by gold coin donation. Stepping into a magical forest with trees that reach the sky is like stepping onto a set of a fairytale. A hidden gem tucked away at the base of the Yarra Ranges in East Warburton. The redwoods have been planted in perfect rows which is simply breath taking, such a perfect place for a quite walk, picnic or some nature goodness. 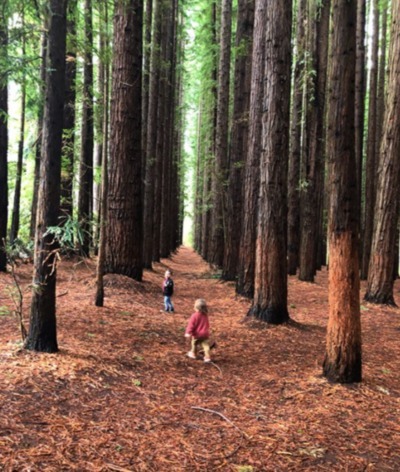 The Alfred Nicholas Gardens, Dandenong Ranges by Chontelle @mumslittleexplorers. 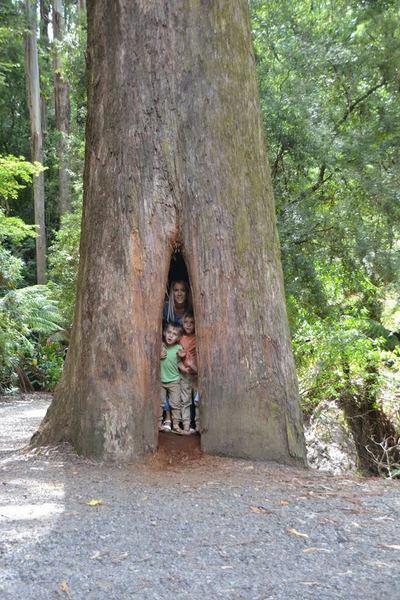 The Alfred Nicholas Gardens in the Dandenong ranges offer a beautiful day out for the whole family. With walking trails, a lake, and the possibility to see a variety of native birds, it is the perfect place for nature lovers. Finally for my own personal favourites, although it's really hard to pick just a few but we love the Australian Centre for the Moving Image (ACMI) for the free Screen Worlds gallery in the heart of Melbourne, along with the temporary exhibitions that pass through, kids film festivals (Little Big Shots) and more. 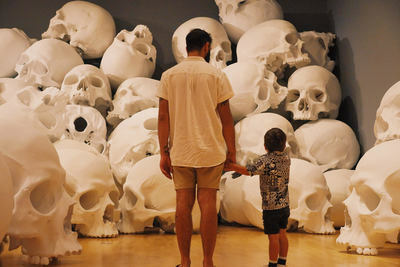 We also adore exploring NGV to immerse ourselves in art! We love that most of the displays here are free. The Enchanted Maze and Moonlit Sanctuary are fantastic on the Peninsula too. 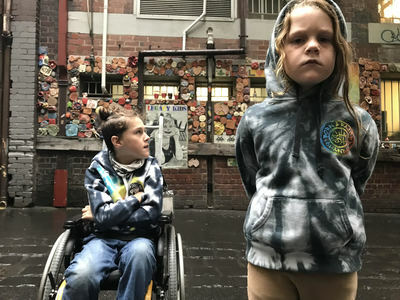 So there you have it, a great big list of things to do and places to go in Melbourne with kids as voted by the people who know this city best. If ever you're looking for inspiration or questioning yourselves with "what should we do today"? Book mark this page for inspiration! Want to add to the list? Sure thing! Drop me a message.